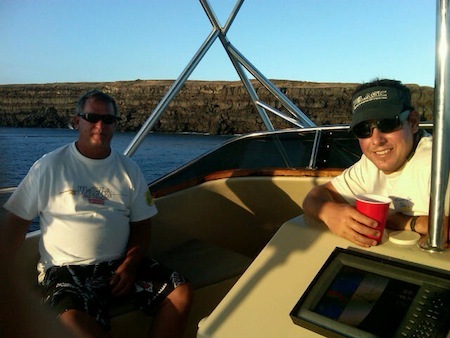 Captain Mike and the Maggie Joe are starting off the Hawaiian International Billfish Tournament in Kailua-Kona, HI today in fashion! 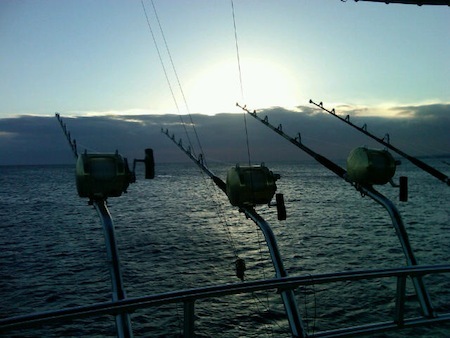 The Maggie Joe is hosting Angler Team 19 today representing Shoal Haven Game Fishing Club in Australia. 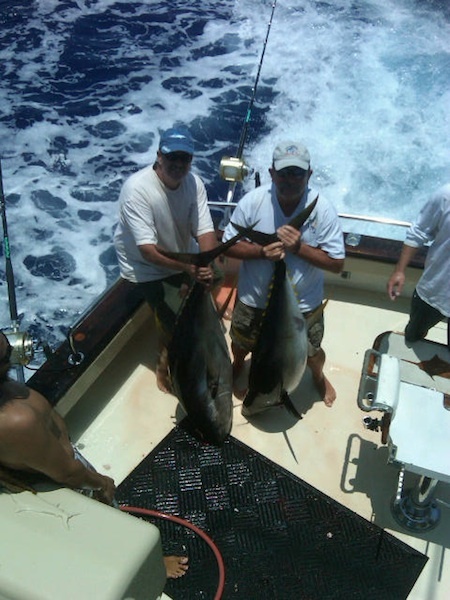 The boys are off to a great start with a tag and release on 1 Pacific Blue Marlin at an estimated 130 lbs. 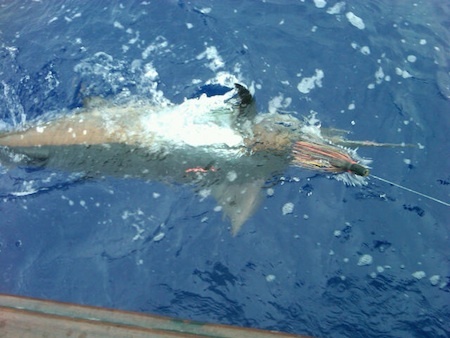 and a tag and release on 1 Spearfish. The HIBT has two competitions built in the tournament. First, the 34 different Angling Teams from across the globe rotate boats on a daily basis and compete with each other. 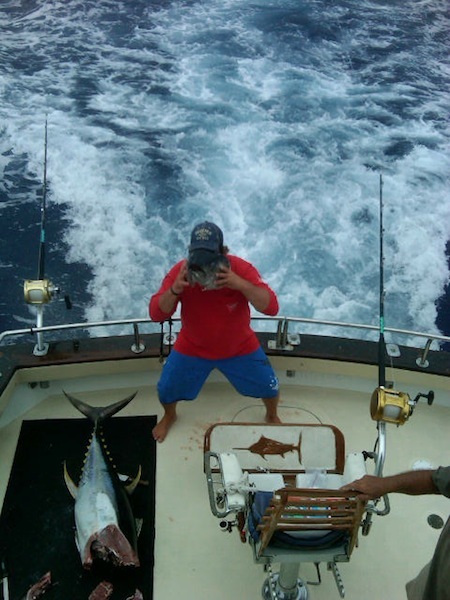 The boats also compete against each other as well for most fish caught during the tournament. 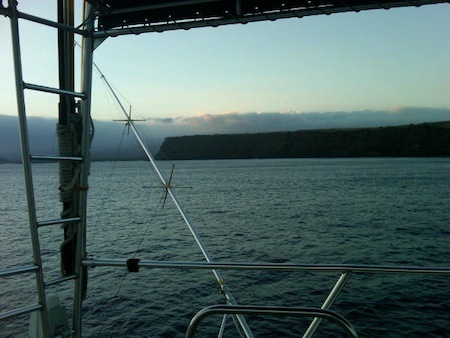 Currently, Captain Mike and the gang are deep sea fishing off Ho’okena, Hawaii and are hoping to find some more fish as the day and tournament progresses throughout the week. Good luck! 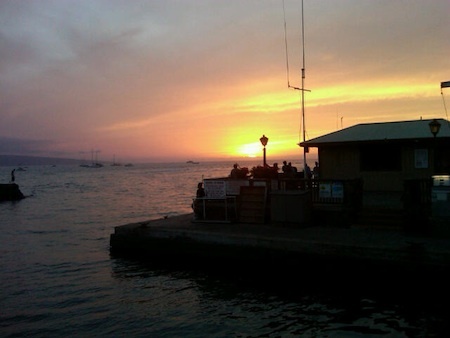 Above is some great footage taken before the Tournaments in Kona, Hawaii. 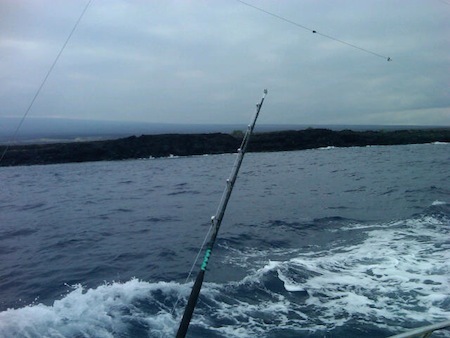 Two 300 lb Pacific Blue Marlin were caught and released on the Maggie Joe while deep sea fishing outside of Kona, Hawaii. The video includes some great under water footage and features Captain Mark and Captain Matt both releasing the marlin and acting as cameraman. Enjoy! 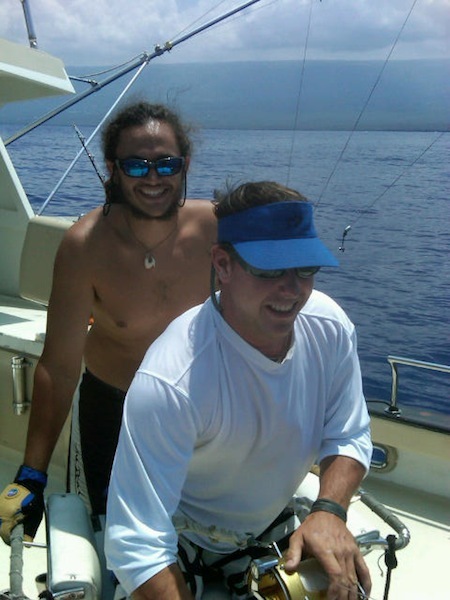 Captain Matt is having some fun after an Ahi was reeled in during a sport fishing trip off Kona, Hawaii before the Firecracker Tournament. The Firecracker Tournament starts tomorrow! Good luck guys! Please watch our Fishing Tournament page for results and photos from all tournaments Maggie Joe Sport Fishing will be participating in. 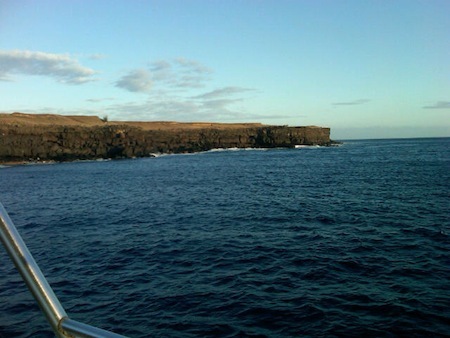 If you would like to charter the Maggie Joe or another boat in our fleet for a sport fishing tournament in Hawaii please call us at 1-877-806-3474. Mahalo!